Poster published by the Northern Ireland Labour Party. Printed in black and white. 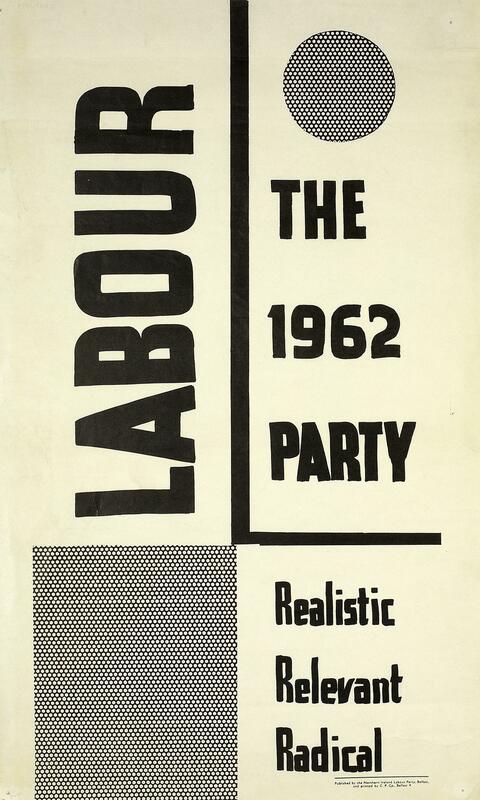 'LABOUR, The 1962 Party. Realistic, Relevant, Radical.' This poster produced by the NILP for the 1962 Northern Ireland parliamentary elections. The party won four seats in East and North Belfast but this was the high water mark of their success and in 1965 they would lose two of their four seats.